Welcome to Sparkling Cleaning Services – your one stop destination for finest and safest duct cleaning Brisbane and all metropolitan areas. 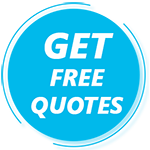 Get Free Quote! Welcome to Sparkling Cleaning Services Brisbane – your one stop destination for finest and safest duct cleaning services. We promise to deliver quality duct cleaning services at the lowest prices and our commitment to customer satisfaction is what makes us the No. 1 choice of thousands of customers. At Sparkling Cleaning Services Brisbane, our job is to keep your ducts clean, up and running in the smoothest possible manner. Our cleaning services improve the indoor air quality at your home and office and give an enhanced life to your ducts. Professional cleaners take care of all these aspects and ensure there is no danger from your dirty or faulty ducts. Call Sparkling Cleaning Services for a peaceful life with your ducts! Duct Post-Cleaning Inspection – Lastly we do a post-cleaning inspection of the ducts and ensure that we have left no stone unturned for your duct cleaning. Our experts will also check for any leakages, animal intrusion, and any faults in your ducts. All of this is included in our duct cleaning service. Call us for a full experience for your ducts from Sparkling Cleaning Services! At Sparkling Cleaning Services Brisbane, we give you full money back guarantee for our duct cleaning services. With our only motto to meet your expectations, we are bound to deliver 100% customer satisfaction with our safest duct cleaning services. And you can always ask for a re-cleaning at no additional cost in case you feel the duct cleaning has not been done up to your expectations. Get complete peace of mind with our reliable and professional duct cleaning services. Call Sparkling Cleaning Services Brisbane right away and welcome home cleaner and healthier ducts!